It’s important to figure out how to protect security cameras in extreme disasters if you live in an area with frequent extreme weather events, like rainstorms, snowstorms, thunderstorms, lightning, hurricane, tornados, and earthquakes, etc. Generally speaking, the quality security cameras are not easy to be damaged even in terrible weather, with special and durable housings. Well, with the following top 9 handy tips, you can protect your security camera from any weather and disaster you may worry about. Never mount your security camera to metal and this is the first and most important guideline to keep security cameras safe from lightning. A direct lightning strike can knock out your security camera. If your building is hit by lightning, and the camera is mounted to metal, the lightning can travel through the coax and destroy your camera. More seriously, the lightning could also cause a power surge that fries your NVR or DVR. So, how to protect the whole security camera system from lightning? Power supply panels may help, which enables individual power supply for cameras and NVR/DVR. For detailed installation suggestions and more pro tips to secure your security cameras in lightning weather, you may also check out this post. Thunderstorms and fast wind may carry your security cameras away. So make sure they’re mounted very securely so that the fast wind, hail, hurricanes, and thunderstorms won’t knock them out of place. 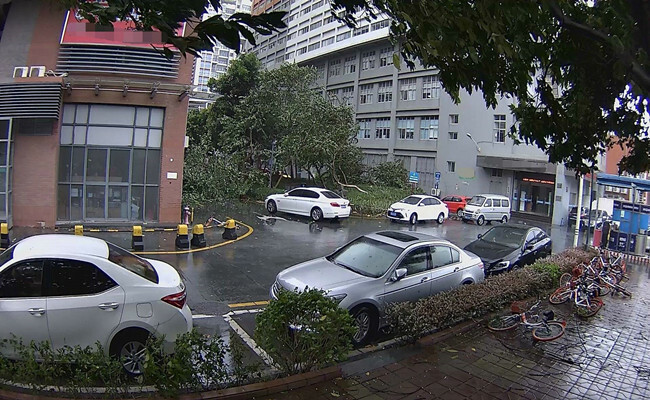 Some quality security cameras, like Reolink Argus 2, also provide additional security mount to protect security cameras against the extreme weather and natural disasters, like the last typhoon Reolink Argus just easily survived. Some security cameras are designed to withstand the elements, including the snow storms, hurricanes, tornados, typhoon, heat, and cold. And the best of the league is IP66 security cameras. 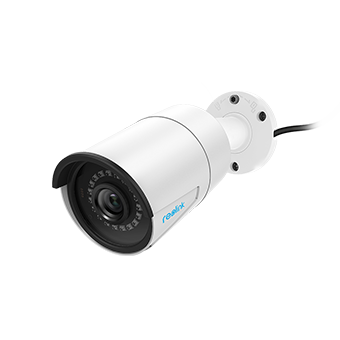 IP66 security cameras are safely enclosed in weatherproof metal aluminum casings that protect the cameras against the extreme weather. So you will have no worries about the rain, sleet, snow, thunderstorms, and fast-moving wind. It’s especially essential for you to buy a weatherproof camera if you want to keep both your home and security cameras safe 24/7. You know, burglars will still come around in bad weather. In fact, the IP66 security cameras are rather popular and affordable nowadays. For example, the Reolink RLC-410, with a price tag of $64.99, has stably covered the states with the most natural disasters, including Missouri, Arkansas, and Kentucky, according to the incoming user feedback. Actually, the IP66 cameras could be even more money saving in the long run, since they are more durable in the harsh environments and thus you don’t need to buy new ones as frequently. If you want to save more money on it, here are several ways that really works to get you additional 5% to 20% discount, or even a free camera, without compromising in the protection of the security cameras in bad weather and disasters. But never buy a pre-owned camera on eBay. Usually, those pre-owned cameras couldn’t enjoy warranty and other services from the manufacturer, which is a great loss you should consider. If you want a dome security camera with a dome cover, which is oftentimes made of glass, also make sure the camera is IK10 rated, besides the IP66 qualification. IK rating signals the level of protection the security camera housing could provide against external mechanical impacts. And the IK10 rated security cameras, the highest level among its own kind, could be well protected against the impact of elements in extreme disasters, like hurricanes, tornados, snow storms and typhoon. *Click here to learn how to pick out the best IK10 rated vandal-proof security cameras. You can also protect your security cameras from adverse weather in custom enclosures. A glass-fronted bird box is an excellent solution to keep any camera safe from harsh weather. You might have to do a little handyman work, but you can always get a DIY-smart friend to help you out with it. You could also buy an acrylic dome and mount the camera inside it. It may be cheaper to design your own housing, rather than spend a lot more on a high-end weatherproof camera. But your custom enclosure might not be as sturdy as a store-bought weatherproof camera in front of the rain, lightning and other harsh environments. You can buy weather protection housing for your security cameras if you still worry about whether your IP66 security camera could survive the hurricanes, tornados, or earthquakes. Some companies sell special housing to keep your outdoor security cameras even safer than they might already be. If you don’t think your weatherproof cameras are weatherproof enough, then get some additional weatherproof housing to help prevent your security cameras from the harsh weather. Even if a camera is advertised as weatherproof, it doesn’t necessarily mean it is waterproof. So be sure that your camera is explicitly waterproof if you live in an area where there is such horrible rain that could be called a disaster. To be more specific, IP66 rated housing is enough to protect the security camera from such rain. However, if you are looking for a home security camera to stand the severe winter or occasional powerful rain in US, Canada, UK or Russia, an IP65 rated security camera will have no problems with it, just as the video below shows. Some quality IP cameras from top CCTV camera brands, could protect themselves from rain, snowstorms, lightning and other weather without making any extra effort, for their specially designed and high-class housings. However, high quality does not necessarily equal to high price. 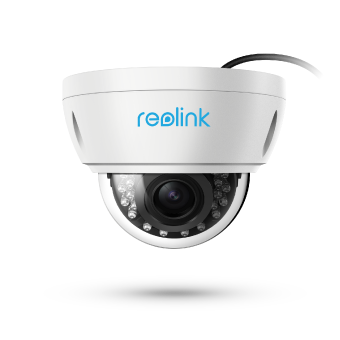 There are security camera brands devoted to making security cameras affordable for everyone, just like Reolink CEO pointed out in the press release of the Reolink Argus 2. Instead, here is more reliable way to help you judge whether a security camera brand is trustworthy or not: Check the camera’s warranty time, and the before and after sale services. 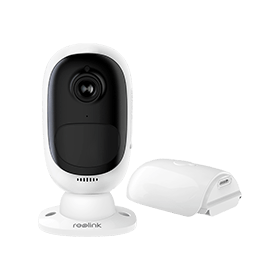 For example, all Reolink cameras enjoy 30-day money back guarantee, 2-year limited warranty and 24/6 one-on-one online support to make sure you get the best security camera solution to be protected in disasters. And if you are not happy with the camera anyway, you can ask for a refund within 30 days. Bear in mind that it’s just a waste of money to buy the cheapest camera you can find at the local home goods store. You will have to spend more time and money in preventing those security cameras from being damaged by hurricanes, rain or any bad weather. Don’t forget to protect the security camera wires alongside after securing your security camera from the weather, especially if the wires are exposed to snow and rain outdoors. Glue the conduit joints well or use watertight connectors so that you can protect the security wires from possible water intrusion. Note that UV can break down plastic conduit over time, so remember to check UV resistant specification of the conduit to better protect your security camera wires from direct sunlight. * Also read how to run security camera wires to find the easiest and best solution to protect your security camera from rain and weather. It isn’t smart to keep buying new security cameras because you’re not safeguarding the ones you’ve got against bad weather. Well, how to protect security cameras from lightning, hurricanes, rain, tornados, earthquakes and other terrible weather? The essential is to get a solid security camera. Otherwise, all other efforts won’t help much. Want to learn other tips to keep your home safe during tornado and hurricane besides the security cameras? You may continue to read this post >>. Want a more comprehensive protection for your outdoor security cameras? Check the best tips here to protect your security camera from vandalism, theft, hacking, and more alongside. This entry was posted in Expert Safety Tips and tagged earthquake, extreme weather, Hurricane, lightning, protect security cameras.